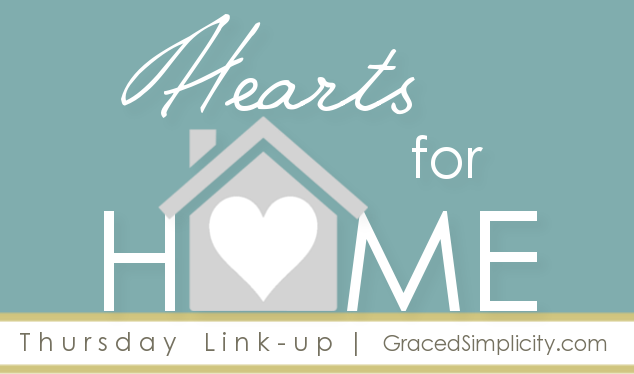 Welcome to our 168th Hearts for Home link-up! Built on the foundation of Proverbs 31 & Titus 2. How have you lived out the Proverbs 31 or Titus 2 woman this week? Faith in Jesus – What have you learned this week? How have you grown? Marriage – How were you an encourager and helper to your husband this week? Singleness – How did you honor God this week? How is God growing you? Mothering – What ways did you nurture your children up in the Lord this week? What tips and tricks have you learned as a mother? along with your family? What natural ways of life have you discovered? God praise while serving? How did you reach out to others in need? make a little extra money this week? Industry – What ways did you willingly work with your hands? Did you learn anything new? Homemaking – How did you create a haven in your home this week? tips on how to be more hospitable to the loved ones in our homes? Time – Did you work diligently with your daily work? Was your time spent wisely or wasted? Would you have done things differently? Beauty – Did true beauty reside in your heart this week? Did you learn a way to to enhance your inner beauty as your outer beauty? Enter your direct link into the linky tool below. Shared content must be from your own blog. No links to businesses or etsy shops. It’s not required, but I would be honored if you’d share our Hearts for Home button. Have a wonderful time sharing, learning and mingling! 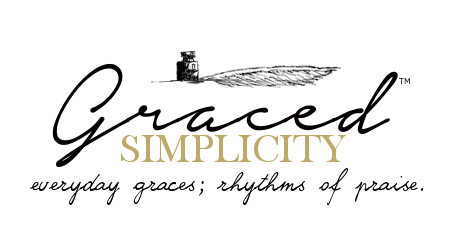 The views expressed by others on this link-up do not necessarily represent the views of Graced Simplicity – we are not responsible for other blogs or their content. Inappropriate content will be removed without notice. If you have any questions or concerns please contact me.